Every college student loves winter break. Even if you aren’t ready to go home and see your parents for the first time since you left for school, it’s still a chance to relax after finals and get away from your professors. With winter break right around the corner, Hazelwood Allied would like to wish all of our customers a safe and happy holiday season. As great as it is to head home for the holidays, it’s also important that you ensure that your personal belongings back at school are safe as well. We all like to believe that other people who live in our dorm will be truthful, and that roommates will not damage our belongings, but this may not be the case if you are gone for a long period of time. There are few things that are more frustrating than coming back from a rejuvenating winter break, only to realize that your personal belongings have been ruined or stolen. In order to prevent any of these things from happening, here are some tips to consider as you get ready for winter break. Keep in mind to prepare early, as this will limit the amount of shuffling around you have to do on the last day of finals. The first thing to consider before you head home for the holidays is only telling people that you trust. Granted, if everyone on your dorm floor is leaving for the holidays, then it may be difficult to try and keep it quiet that you have also left. However, you can still inform your resident assistant of when you are leaving and when you should be back. If you live outside of the dorms, then consider telling the neighbors that you trust regarding how long you’ll be gone. They can keep an eye on your home and also look out for any suspicious activity. You can never be too safe when it comes to protecting your home while you are gone. If you live off campus, be sure that you lock your house before heading to your parents for the holidays. If you live in the dorms, then be sure that your room is safely secured. This also includes if you share an adjoining suite with other people, as you never know how secure they will have their room. The more secure that you make your home or dorm, the less likely it is that something bad will happen. It’s also not uncommon for people to move out of their current home at the end of the semester, but they typically may not be able to move in until the next school year begins. When this happens, you may want to consider options for self storage in Santa Barbara. With storage units in Santa Barbara, you can keep your personal belongings safe and in a controlled environment. In addition, Santa Barbara storage units provide extra security to keep your items safe. Even if you don’t have a ton of items, you may still want to consider Santa Barbara self storage options. In most cases, you’ll be able to find something that is a size that accommodates to the necessities that you have. Before you close and lock the door behind you as you take off for the winter break, it’s also important that you manage the temperature at your home or office. If you are someone who works on campus, you may want to also consider office storage in Santa Barbara. It is here that you can keep your office belongings, including books, teaching supplies, and anything else that you may have. If you fail to keep the temperature at a modest level as you leave for the holidays, then your house may sustain damage due to colder temperatures outside. 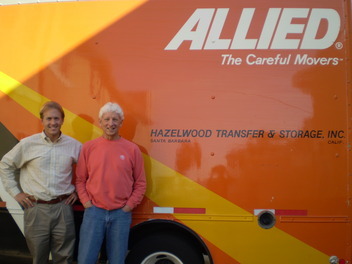 If you simply have too much stuff to take care of on your own, consider hiring a moving company in Santa Barbara. You may want to consider Santa Barbara moving companies if you have too many items to move on your own, or if you are planning a bigger move even after fall break. Another benefit of a moving company in Santa Barbara is that they may also have storage unit options available. With the help of a moving company that also offers storage units in Santa Barbara, you’ll be able to get assistance with your personal belongings and make sure that they are safe all in one. Q: What should I look for with a Santa Barbara moving company? A: When it comes to your personal belongings, you deserve the best. Therefore, make sure that you are working with a reliable company that looks safe, and that also shows you the respect you need and deserve during your experience looking for Santa Barbara movers. Q: Aren’t moving companies in Santa Barbara too expensive for a college student's budget? 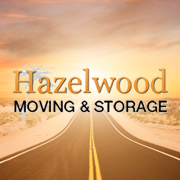 A: You might just be surprised to find out how affordable moving options are for your belongings. Furthermore, keep in mind that a bit of an investment into storage in Santa Barbara could mean keeping all of your personal belongings safe. After you’ve finished up with your move, be sure to take a look at some of these other great events in the Santa Barbara area this holiday season. We love all of the local events that are going on during this time of year. Here are some of our favorites that you should take a look at. Thanksgiving Day Pumpkin Smash: Thanksgiving Day, November 27. Have a smashing good time at the Santa Barbara Zoo’s annual Thanksgiving Day Pumpkin Smash from 10:00 a.m. - 3:00 p.m. Elephants, gorillas, and other animals will get tasty pumpkins to play with and eat on Thanksgiving Day. Cost is free with Zoo admission. Should be fun to watch, but we think our chefs have better ways to use a pumpkin! Art To Zoo Exhibit: November 26th - Take your family to the Art To Zoo exhibit at the Santa Barbara Museum Of Art. This is something your entire family will enjoy, as both an educational and entertaining experience. 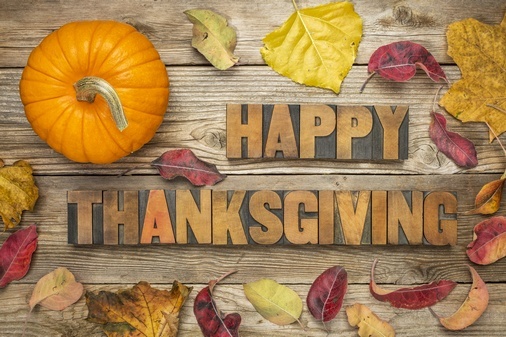 From all of us at Hazelwood Allied, we would like to wish you a safe and happy Thanksgiving this year. Before anyone goes packing for a vacation, especially if you'll be out for a while, one of the things that are often overlooked is the safety of the belongings that you leave behind. These are great tips here. One thing about owning a lot of stuffs is that you might not be aware that you have already lost a thing or two, until you need the item stolen. So if you are sharing a room or house with others, the best option is to consider self storage in Santa Barbara.